Your hotel in Mittenwald, even when staying close to home! 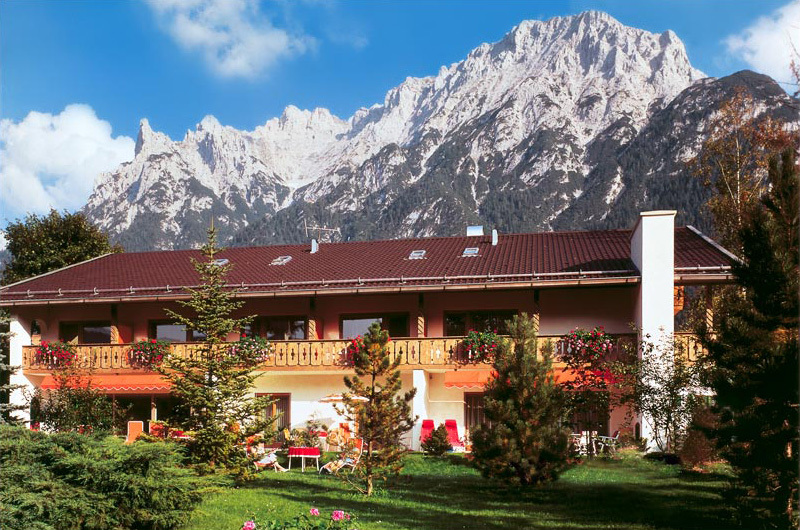 The Hotel Garni Franziska is located in Mittenwald on the most beautiful side of the Bavarian Alps! Nestled against the picturesque backdrop of the Karwendel and Wetterstein mountains, our three-star Hotel Franziska in Mittenwald offers idyllic tranquillity and truly heavenly views in every season: the ideal opportunity to relax and enjoy yourself surrounded by an upscale Bavarian ambience. Panoramic views in every direction! Whether you want to enjoy the royal Bavarian peace and quiet or are an active holidaymaker: the Hotel Franziska in Mittenwald helps all guests realise their dream holiday, whatever the season. 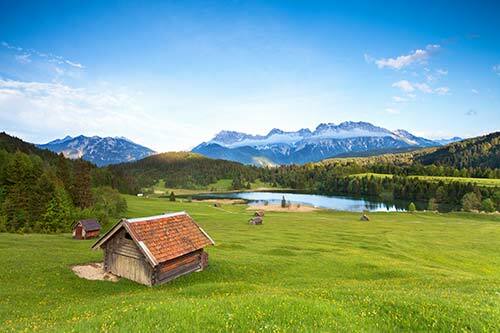 In summer, guests are welcomed with romantic trail, cool mountain lakes, and sporting challenges on foot or by bike. In the winter, rapid sledge and ski runs, wonderful cross-country trails, and unforgettable evenings in snow-covered mountain huts are on offer. Mittenwald is a spa town and is one of the oldest year-round destinations in Germany, boasting a unique mix of history, holiday atmosphere, and traditional customs. Especially for families, the Hotel Franziska in Mittenwald provides the perfect starting point for a holiday that’s equally relaxing and full of adventure, and not just because of the spacious rooms along with first-class furnishings and service. 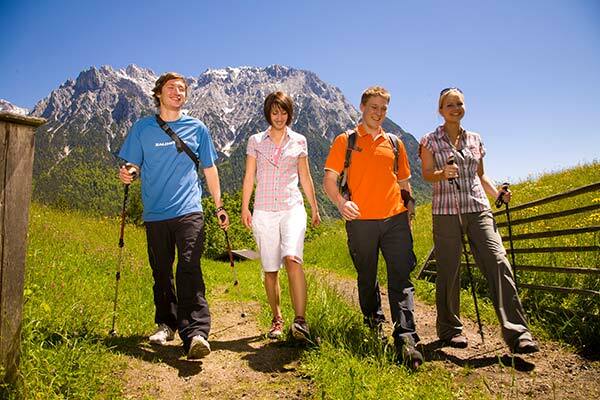 From the Leutasch Geisterklamm to barefoot hiking at Kranzberg and the child ropes course at Isarhorn: the rich, natural environment and the numerous recreational activities make each day a special experience for adults and children alike. The area also features numerous swimming and leisure pools, museums, and theatres to keep you entertained. If you suddenly get the urge to go shopping during your stay at Hotel Franziska in Mittenwald, Garmisch-Partenkirchen and Innsbruck are both close by and can be quickly reached by car or train. The neighbouring towns of Krün and Wallgau also offer further opportunities (such as golf) to add some variety to your holiday agenda. And when you return from your day out and about, you’re guaranteed to feel right at home in the Hotel Franziska in Mittenwald!